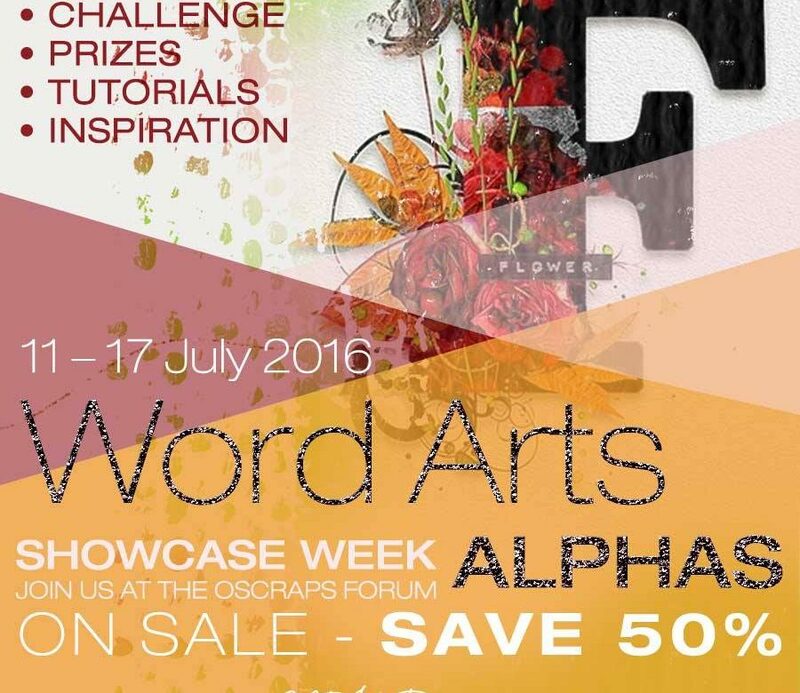 a new Month and we have again a wonderful Showcase Challenge with a Sale at the OScrap Forum. Ona shows you a wonderful new technic at the forum. I am sure you can use this idea in several projects like cards or wallpapers. I hope we see you at the forum, the Creative Team made already some nnice inspirational Layouts. 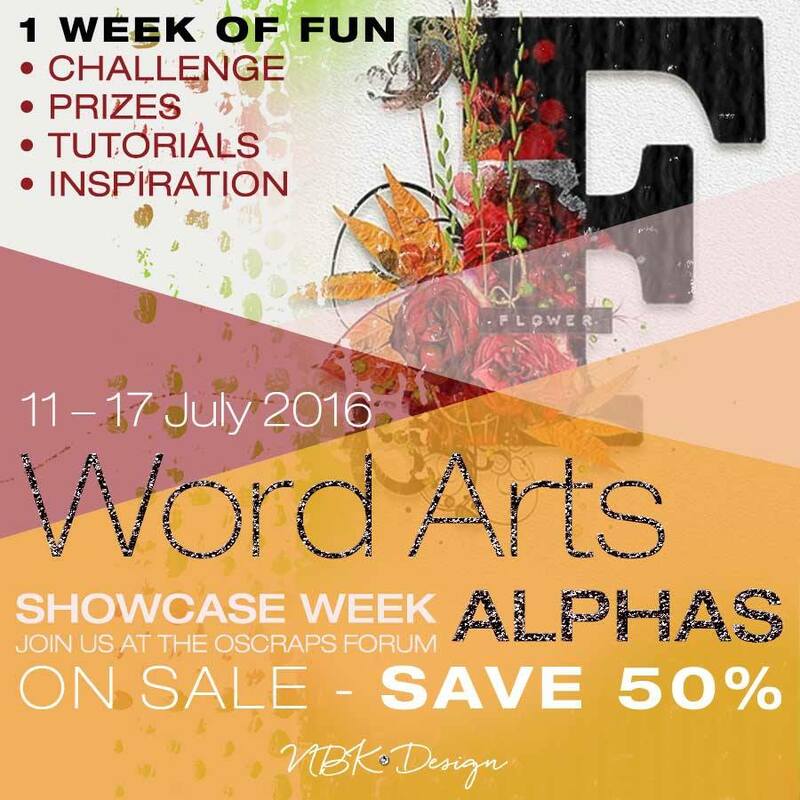 The Showcase Product Challenge for July will focus on Alpha & Wordart.